Kannywood film producer, Usman Uzee, is a unique figure in the industry at the moment based on his penchant for movies that bring Kannywood and Nollywood together. Usman started as a makeup artist in the Nollywood movie industry in Lagos but became a full time movie producer after joining Kannywood. In 2013, he produced, Oga Abuja, which featured stars from Nollywood and Kannywood, such as John Okafor and Rabilu Musa. PT: Why did you decide to become a movie producer? When I started in Lagos, I was a make-up artist. At that time, I was unarguably the best makeup artist. I won an award at the (African Movie Academy Awards) AMAA in 2008; Best Makeup Artist for the movie, London Boy. At the awards, I met Ali Nuhu who won Best Upcoming Artist for his role in Sitanda. We talked and being a Northerner from Kwara State, I was looking for an opportunity to join Kannywood. Thereafter, I moved to Kaduna where I studied the industry. 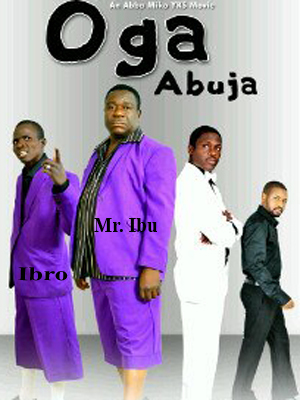 I decided to find a way to bring Nollywood and Kannywood stars together in a movie. PT: Of what advantage do you think the collaboration would be for Kannywood? I noticed that some actors and actresses in Kannywood are limited by their lack of exposure. I felt that bringing stars from Nollywood would help the Kannywood actors in building their confidence. I imagined that John Okafor, specifically, would do well in a Kannywood movie so I went to Lagos and brought him to Kano. PT: How did he come to agree to a movie where he would have to speak Hausa? Yes, that was difficult, but as an actor he was able to connect with the other Kannywood actors. He was tutored in the language for every scene and he did wonderfully well. PT: What are the challenges you have encountered as a producer? It wasn’t really difficult for me. Although I’m from Kwara, not a core Hausa-speaking state, I speak Hausa fluently. I was embraced by the people I met in Kano and Kaduna. Sani Danja, Ali Nuhu and Yakubu Mohammed made everything easy for me. They are great guys I love working with till date. PT: Which was your first Kannywood movie? 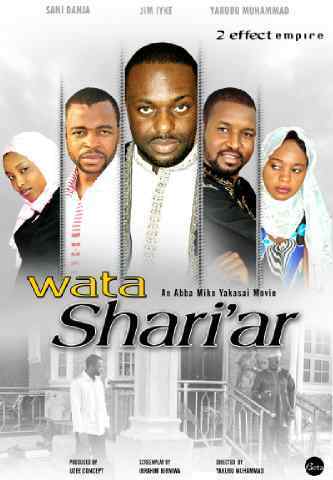 Wata Shari’a was my first ever but it was not released early. In fact, I just released it 3 weeks ago (in December). The film features Jim Iyke, Sani Danja and Yakubu Mohammed. PT: How would you rate the Kannywood film Marketing? Actually, at first, I thought there wasn’t much money in the Kannywood film industry, but when I started I realised it was not like that. My film, Oga Abuja, sold more than 1 million copies and is still selling even at the moment. So, it is a big market, I tell you. PT: What other movies have you produced apart from the two you have mentioned? Maifarin Jini and Maja are also from the stables of Uzee Concept. Maja would hopefully be released on January 31. It stars Nkem Owoh (Osuofia) opposite Rabilu Musa (Ibro). It is a highly anticipated movie. People in both Nollywood and Kannywood want to see Nkem speak Hausa, and he did just that in the movie. Fans would be surprised when I finally release the movie. PT: Which among your movies do you like the most? I like all my films because they are good films. I don’t play when producing my movies so all are my favorite. PT: How will you compare Kannywood to Nollywood, especially in terms of salaries? For now, in one, the movies are in Hausa and in the other, in English; for me that is just the basic difference. When you talk about money, I can categorically tell you that (producers) pay based on the way they have developed and their strength financially. At the end, everybody is happy. One thing I know is that I pay my actors very well. PT: Do you also sell your movies in Lagos/the south? Yes. 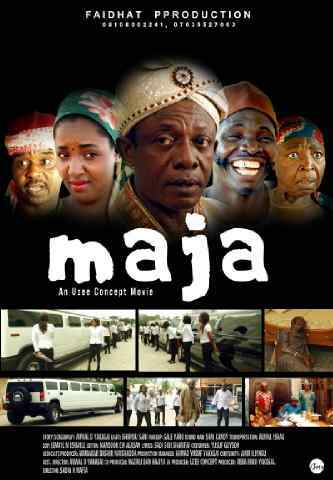 Because of the collaborations many people want to see their actors in the movies even though it is in Hausa. But when we translate the movies, fans buy them and watch them. PT: What do you think needs to be done to improve the Kannywood movie industry? Kannywood should schedule training classes for actors and actresses so they can get professional training for their roles; that would be a major step forward for the industry. Most actors are working based on talent, without professionalism. PT: Apart from the award you won when you were a makeup artist, which other ones have you won since you became a producer? I won Best Indigenous Movie at the Nigerian Entertainment Awards in 2013 for Oga Abuja; best producer at the PAMSAA Award also in 2013, for the same movie as well as City People Magazine Award for Best Film (North). PT: It seems Oga Abuja was a big success for you. Yes, it was. But I am hoping Maja would be more popular.